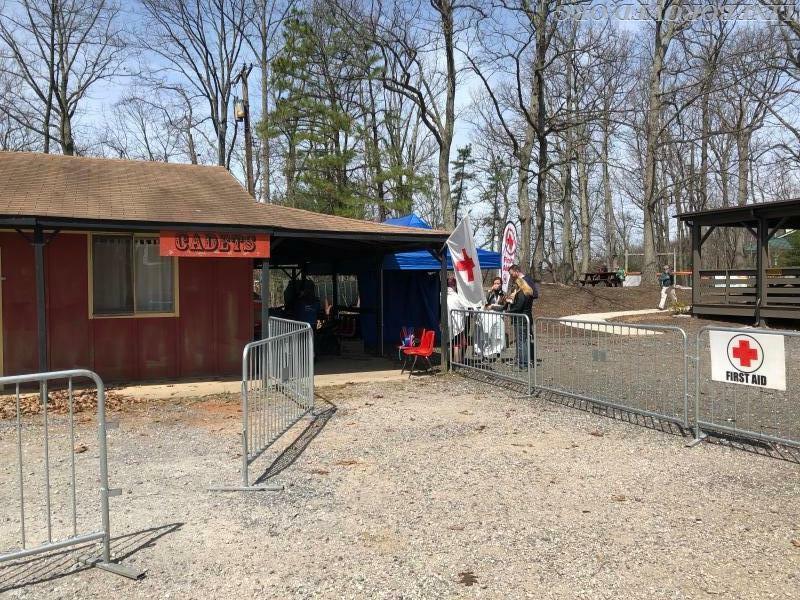 Early on Saturday morning, April 21st, units from York, Baltimore, and Carroll Counties converged at River Valley Ranch in support of their annual 13.1 trail running event. This year marks the Trail Half-Marathon's third year, and saw 437 runners on the course. This event presents unique and difficult challenges to public safety assets due to it's limited access and diverse terrain. River Valley Ranch covers over 500 acres of property in northeastern Carroll County, and is principally served by the Lineboro Volunteer Fire Department. In order to support the event, Lineboro engages the assistance of numerous outside government and private sector assets. 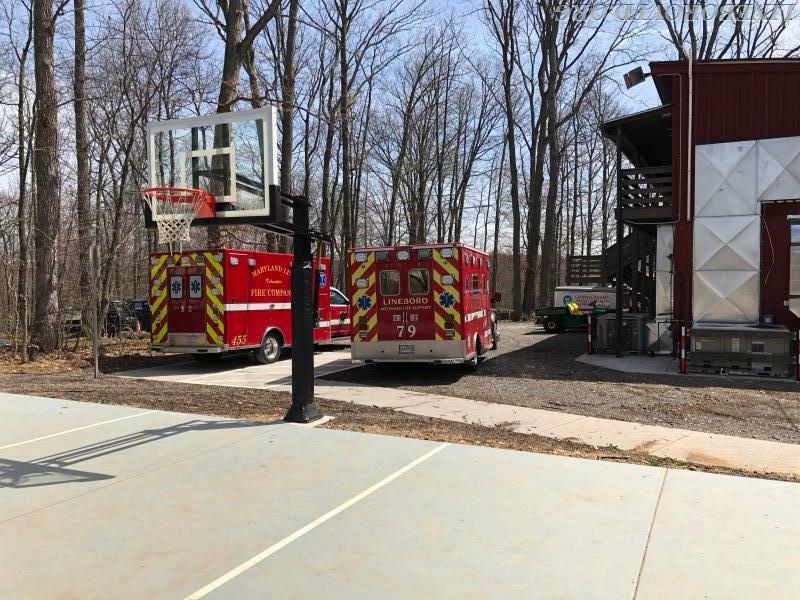 In addition to the units provided from Lineboro, additional EMS apparatus was provided by Upperco, Pleasant Hill, Maryland Line, and Westminster Fire Companies. 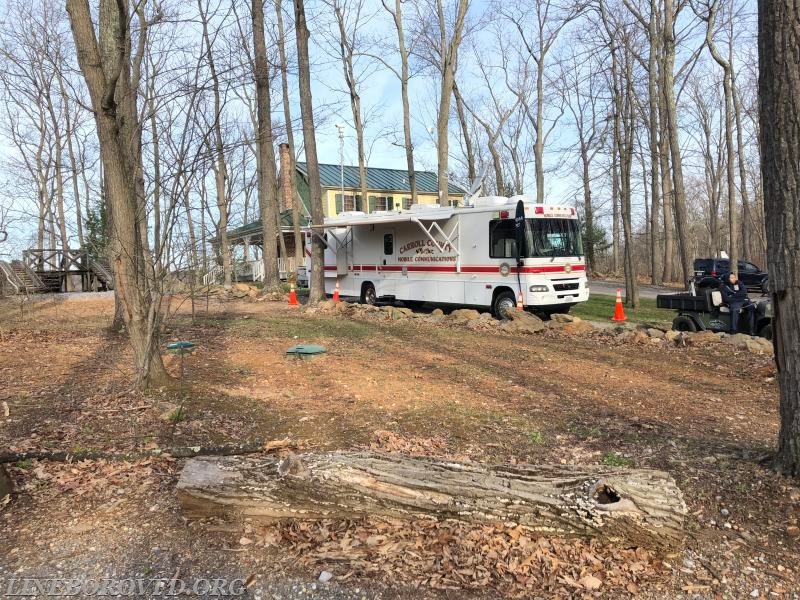 The Carroll County Office of Emergency Management provided the use of MCCV 2, a mobile command and communications vehicle outfitted with state-of-the-art communications and other event-monitoring technology. They also provided the use of Mass Casualty Support Unit 4, a Level I MCI trailer equipped to initiate emergency mass casualty care. The Carroll County Sheriff's Office provided three Sheriff's deputies to assist with security and traffic management. Stryker provided five AED and three Mechanical CPR Devices. Utz Snacks of Hanover donated over $300 in product to ensure that the nearly 40 members of public safety remained nourished and hydrated. Public Safety assets worked closely with River Valley Ranch medical staff to ensure that all runners and spectators remained safe for the event. Only one runner was transported to a local hospital with non-life threatening injuries. Soon, the leadership from Lineboro will be meeting with the leadership from River Valley Ranch to begin planning for their upcoming Trail Run Festival in August.